Built around collaborations with local artists of different genres, these performances expose dance and the artistic process to audiences. They relate the process of making dance to audiences, and develop scenarios where the audience’s presence impacts the work. Since May 2010, Frame Dance has presented over 40 live performances in the Houston area, all original works by Frame Dance with guest collaborators who are artists from different genres — painter, photographer, filmmaker, poet, playwright, composer, chef and musician. Unique venues are the hallmark of Frame Dance performances including the Contemporary Arts Museum Houston, Jones Plaza, Miller Outdoor Theatre, Pennzoil Place, Photobooth on Montrose, Port Boliver Ferry, the METRORail, the inside of U-Haul trucks, art galleries, City Hall, and even a claw foot bathtub. 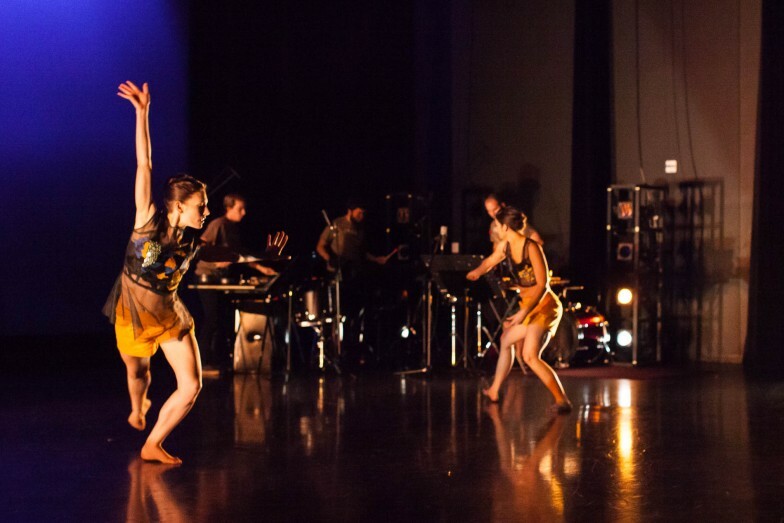 Each performance features original musical compositions by emerging composers such as Charles Halka and Robert McClure, a rare find for contemporary dance companies in Houston. Notable performances include To the Brim for the ERJCC’s Dance Month, Quiver named a top ten dance work by CultureMap, and Dinner/Dance 19, an interactive dinner in collaboration with chefs David Leftwich, Adam Dorris, and Richard Knight.